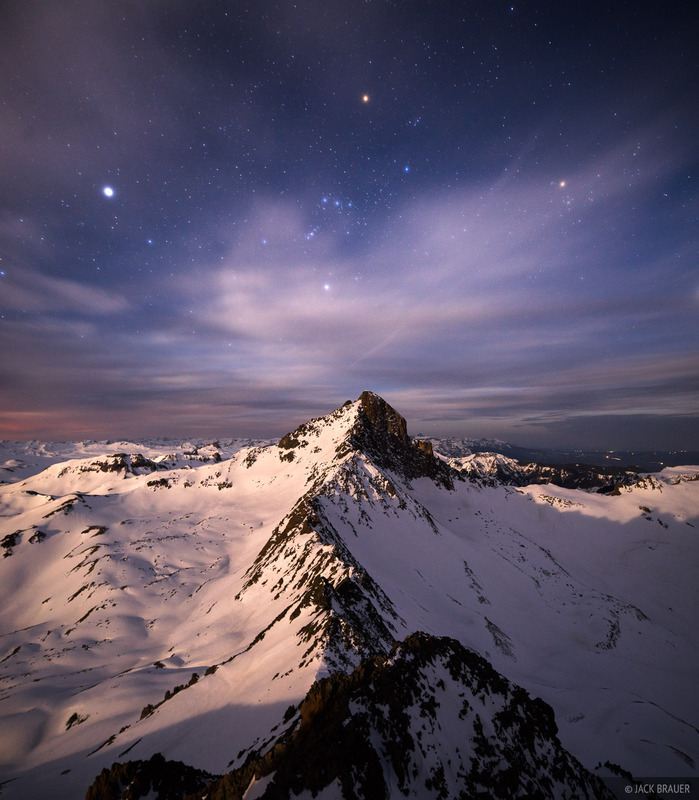 Moonlight illuminates Wetterhorn Peak. The three prominent stars above are Sirius, Betelgeuse, and Aldebaran. Photo © copyright by Jack Brauer.